The annual Messe Cup was held as part of a hobby fair in Leipzig, Germany last weekend. The race saw the running of several classes and it was Carsten Keller who took a double victory in the 1/8th Nitro Buggy and E-Buggy categories. Carsten took the TQ in the Nitro Buggy class and he also came out on top after the 20-minute A-main to take the day’s win from Sebastian Winterstein in 2nd and Laurin Czypulowski in 3rd. 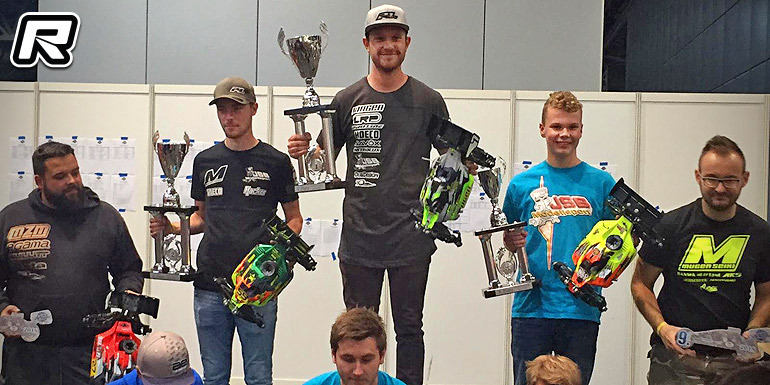 Over in the E-Buggy category it was again Carsten with the TQ and with a clean sweep in the semifinals and dual A-mains he took his second overall win of the weekend, leaving behind Aaron Rönick and Yanic Grieger in 2nd and 3rd respectively.